1 Federal Census, LA, Orleans Parish, 1900, New Orleans Ward 2, ED #12, Sheet 7B, Image 14 of 41, Ancestry.com (Online Census Images). 2 Find A Grave, (accessed 07/21/2012). 3 Mississippi Marriages, 1776-1935, Ancestry.com (Online Database). 4 New Orleans, Louisiana, Death Records Index, 1804-1949, Death record for Mary Harvey Oswald, Ancestry.com (Online Database). 5 Cahill, Michael P., "Pedigree of an Assassin: Lee Harvey Oswald", StageClick: Theater for everyone (originally published La Plume de NOM, 1991), http://www.stageclick.com/topic/2968.aspx, (accessed 01/02/2012). 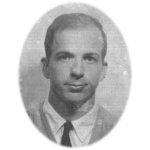 6 Reitwiesner, William Addams, "Ancestry of Lee Harvey Oswald", (accessed 07/16/2012).